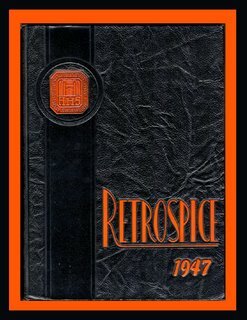 In order to be sure you are seeing ALL the posts on HHS51, go to the right of the screen and find the "ARCHIVES" link which is just above the counter. Click on "APRIL" (or whatever month you want to view). This should load the complete posts for the month. For some un-explained reason, the entire month is not displayed when the site is accessed. 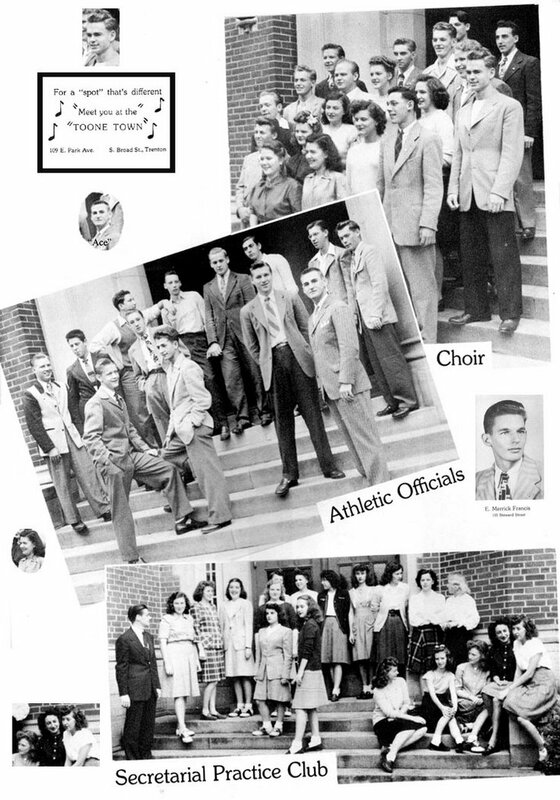 I was truly impressed by the number of clubs which were on the Hamilton Campus back in the 1940's and 50's. You will be seeing more of them in future posts. Some very intriguing clubs will be posted, including the Radio Club, The Ettiquette Club, Chess and Checkers, Photography, and many more. Please forgive me for embellishing the graphic with a few little vignette photos and that ad for "Toone Towne." Remember Toone Towne? We all went there for a sandwich, a coke or a milk shake. 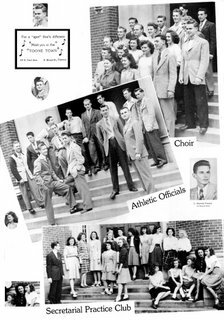 Every time I watched "Happy Days" on TV, I thought of Toone Towne.....but then again, in every one of the 50 or more times I watch "Grease," I thought of my high school sweetheart, Judy Britton who was the epitome of "Sandy!" 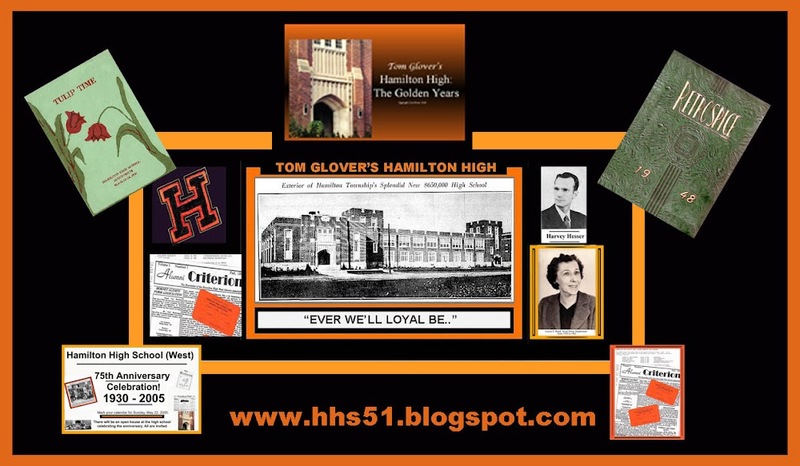 great HHS posts on this site. 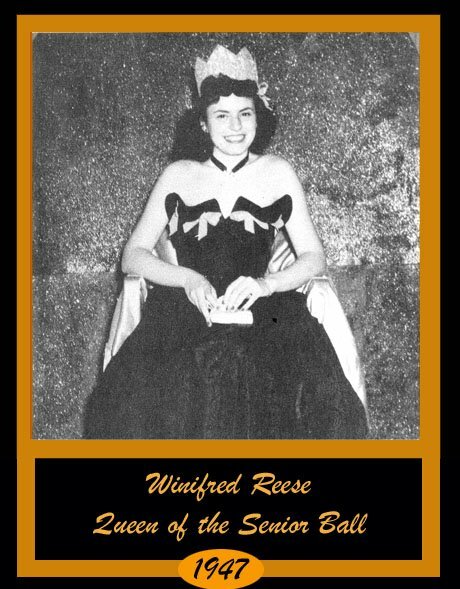 Winifred Reese, "you done HHS '47 proud." Even though I dressed up the 1947 yearbook with an orange and black border, I still think the basic book is one of the most attractive in the set.